Student Poster Exposition application submissions is currently closed. The deadline to submit was December 19, 2018. 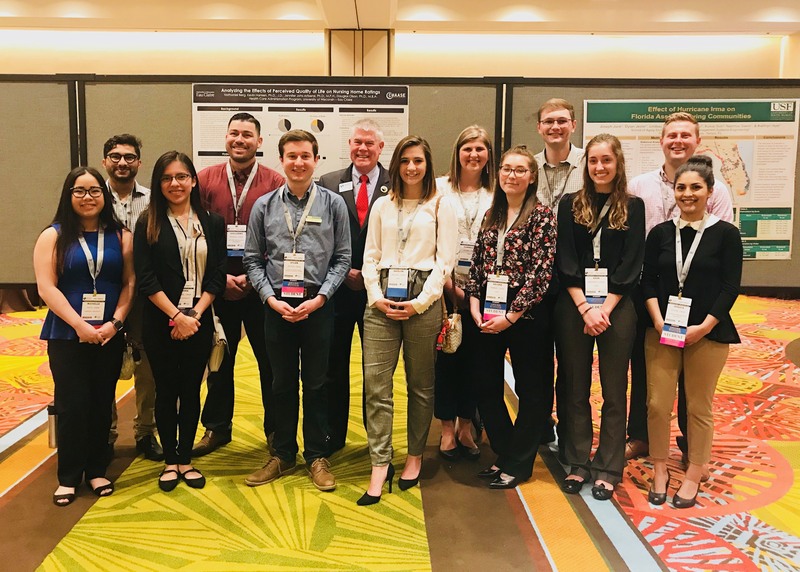 The Student Poster Exposition at Convocation gives undergraduate and graduate students from universities across the country an opportunity to present their scholarly work on a wide variety of topics from applied research with a faculty member or an innovative project with an ACHCA member. Students participate through oral presentations, poster displays, and gallery exhibits. Throughout the two days, participants have the opportunity to interact with other students, faculty, and ACHCA members from across the country. This poster exposition will showcase the applied research, scholarly work and creative professional activity of undergraduates and graduates in the broad fields of health and aging services administration study. Click here for more information and guidelines. Samples of past posters can be found here. Click here for a list of suggested topics. Undergraduate and graduate students who are ACHCA student members. Faculty mentors are encouraged to attend with students. Complete the financial request form when applying: If your poster is approved and you qualify for financial need, your registration will be covered at Convocation. Share your scholarly and creative work at a nationwide conference while interacting with other students and colleagues from across the country. Network with ACHCA members, faculty, and students from other institutions. Build your professional resume. Students that attend Convocation are welcome to attend education sessions and networking events. Questions? All questions may be emailed to Elizabeth Lollis at [email protected].